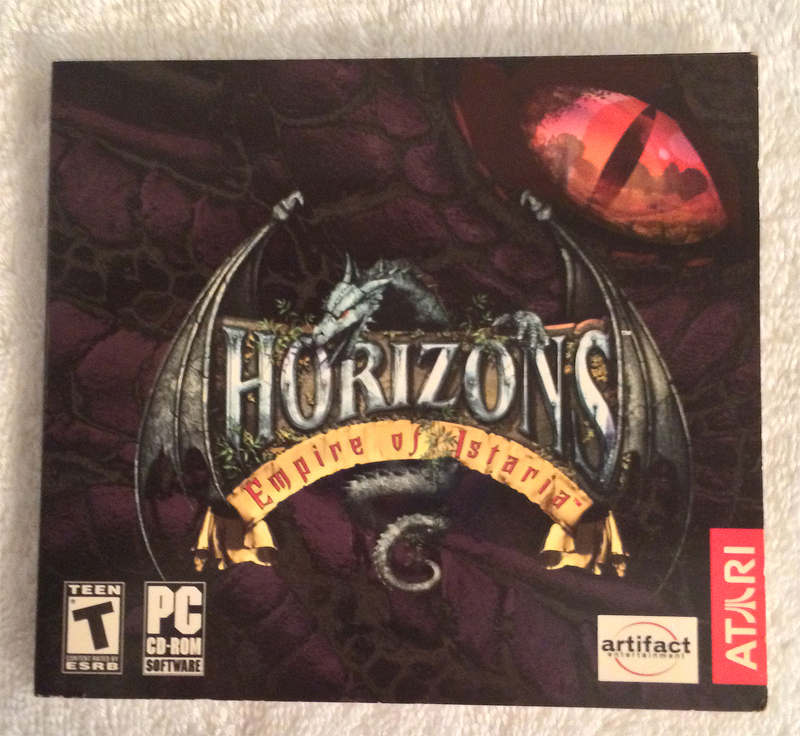 Horizons is now better known as Istaria. It’s a game I’ve actually returned to over the past decade, and in 2009-2010, I even wrote several articles about it for MMORPG.com. Istaria is a game that is dear to me, even though I don’t play it anymore. It was an amazing game at launch because it was the first to offer a true playable dragon race! Dragons start out as a hatchling, and through a rite of passage, become adult and eventually ancient. They can fly, have their own skills, have their own type of crafting, and build dragon lairs to live in. I loved my time playing as a dragon, and still miss my dragon character so much. Istaria also has amazing crafting, including the ability to buy your own plot of land out in the world and build anything you can fit on there. Guilds often bought entire towns, which consist of several plots that guild members can purchase individually and help build a guild city. The community there was small, but usually welcoming and very helpful. In the early days, the game was one of the first (that I knew of) to attempt dynamic events, where blight anchors would drop in the world and infest the area until players came to clean it. The blight could even come and claim player-owned cities, making housing impossible to reach until enemies were dispatched. This was the fun of it, though I was never high enough leveled to take part in these events back when they ran. Sadly, Istaria ran upon hard times and changed ownership over and over. The first time the game was sold off, it was a big hit to player morale. I remember being afraid that all the time, money and effort I was putting into the game was going to be wiped away. That was the point when I decided to leave the game, even though I really loved the world and wanted to see my dragon fly. The folks at Virtrium, who have owned Istaria since 2007, have done a lot to stabilize and improve the game over the years. I did return back in 2009, and found the population was rather small. So, I decided to help the game out by writing articles, which surprisingly MMORPG.com picked up quite generously. The Istaria team was very helpful and encouraging, and really embraced the articles I wrote. I often got feedback that they saw new people joining the game due to my articles, which was the highest complement I could get! I’ve heard of this game before! I remember the hype around the playable dragon race. It frankly blows me away that you were able to support the game you loved by writing for it. How did that gig get started anyhow? It’s kinda a story of being in the right place at the right time. Istaria used to run a Spread the Word type campaign that gave players perks for sharing info about Istaria in blog posts, tweets, videos, etc. I was surprised that MMORPG.com accepted the article, and it sent quite a ripple through the Istaria community as well. I was still a pretty new-returning player, so not many long-timers there knew who I was, but they still came to comment and support what I wrote. The devs picked up on it quickly, too, and when they saw an upswing in new players trying the game, got in contact with me. They set up a special walkthrough viewing of their newest dungeon and content patch, which I wrote and submitted. When MMORPG.com saw that I had a connection to the Istaria devs, they offered me an Istaria Correspondent title, which I still have today! I worked with the Istaria community manager on and off to write a few other articles, up until the point where my own real freelance career was taking off. At that point, I needed to spend more time writing to support myself and less time playing games. So I made the hard choice to concentrate on RL and parted ways with MMOs for a while. Believe it or not, I feel that it was partly due to the fact that I had published work at MMORPG.com that I got the freelance gig that supported me for about two years before I went back to working as a tec writer full time. So you can never tell where things can lead! Thanks for sharing! It seems that everything just worked out – but wouldn’t be possible without that rewards initiative in place. That’s rare, isn’t it? And your case has to be the first I’ve heard where game writing helped land non-gaming-related jobs! I probably would have still blogged about Istaria (and I did), but the initiative got me to thinking about ways I could spread the news even beyond what I could write. That’s when I discovered MMORPG.com accepted volunteer articles, which I didn’t know until then. Decided to just take a chance! I’m sure the published samples helped land me the job, though it also helps that I have a degree in business writing. The freelance work was for Internet writing, so it was good to show I already had paid and published articles out on the net somewhere. That freelance job was also the case of being at the right place at the right time, because things eventually got a lot more difficult to write for them and that opportunity pretty much doesn’t exist anymore. I’m a business/tech writer myself, and you’ll find no argument. A job’s a job – I want to freelance only for the things I’m passionate about! Aaaaaand that’s the nth time I’ve replied on your blog without first pressing ‘Reply’. Sorry if it drives you a little nuts – I know it does that for me. Ah, I remember Istaria. 🙂 I think that was the first time I played an MMO with you, ‘Wren. 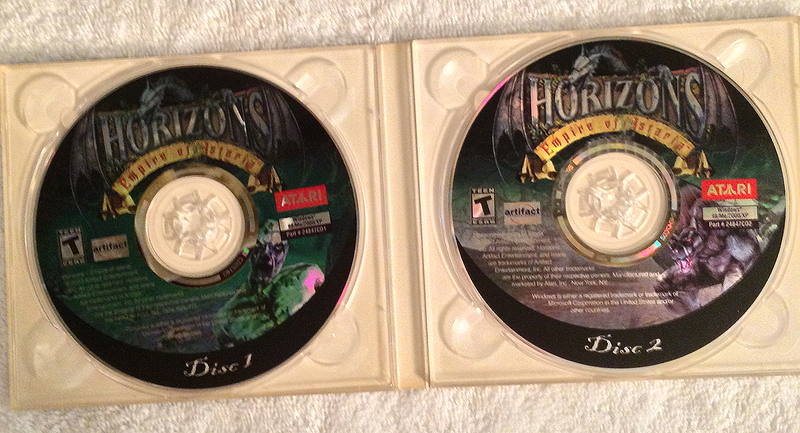 Oh man, I loved Horizons when it first came out. The game had everything I wanted at the time. I played as a dragon and as one of the Sslik. I played as each of the other races too, but those two stuck. There was so many cool things about it, between lovely environments (at the time) and the speed boost for running on the road. If I remember right, the dragons weren’t self-sufficient in battle, meaning they couldn’t heal, while biped races could get classes that were self-sufficient. But they were heavy hitters. I think that kind of made me drift from it though. How far did you get with your dragon? Were you able to get a house yourself? How about finishing one of those crafting events like bridges? It’s always awesome to hear someone else remembers great things about Horizons. After I returned, I leveled my dragon to 100 and did finish the Adult Right of Passage. So I could fly, but I never went on to become an Ancient. I was part of a pretty big and old guild who owned a lot of guild plots. I became an officer and recruiter, so eventually I was given the main guild hall plot on the guild city Tirzah to manage. I built that up with my bi-ped and owned a second plot with my dragon to experiment with the lair system. I was a bit too late to join in in any of the large building projects. But my guild did work together to complete a smaller bridge in the guild housing island. When they dev team reconstructed some of the areas in their revamp, they added new crafting stations that we had to build, and I took part in that too. You got further than me. I didn’t make it to adult hood. It was a fun game and it really could have “taken off and soared” (forgive the pun) if not for all the troubles it hit. I agree. I really wish things had been different for this game. They had so many great ideas.